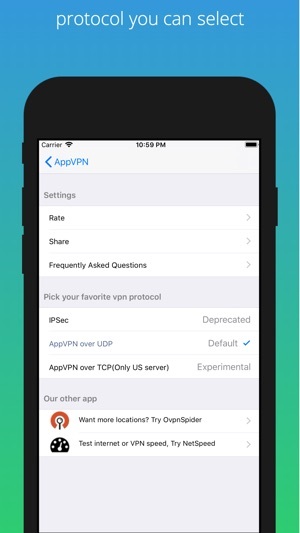 Keep your mobile activities safe & private. protect your online privacy when using the Internet in potentially unsafe locations, such as unprotected WiFi hotspots in hotels or cafes. 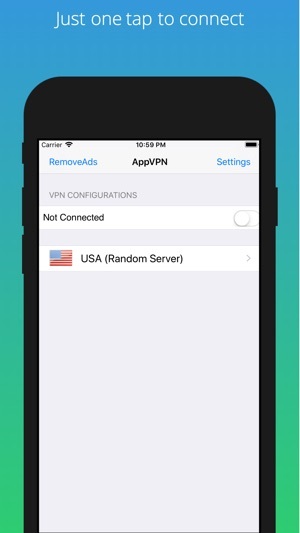 AppVPN provides a safe and trustworthy connection by configuring an secure channel between your iOS and the target website using Virtual Private Network (VPN) technology. 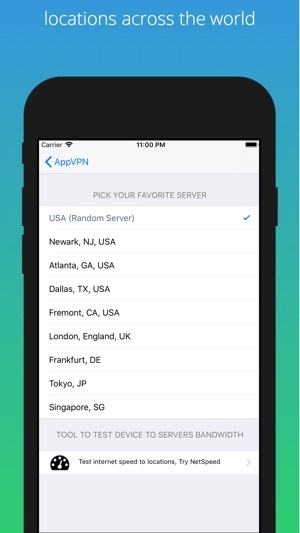 The application uses reliable servers located in USA, United Kingdom,Germany,Japan and Singapore. - Our "monthly-subscription" subscription can be ordered monthly($2.99)! - Our "yearly-subscription" subscription can be ordered yearly(US$29.99)! - Dedicated servers for subscriber.